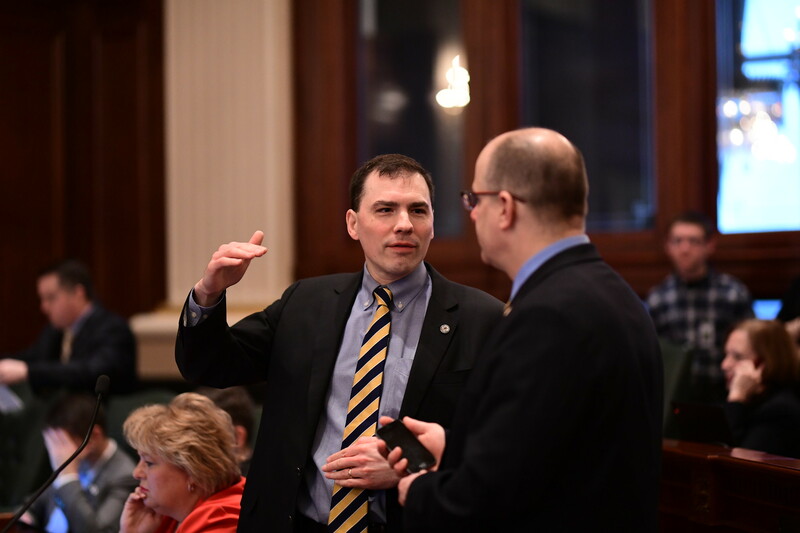 SPRINGIFLED – State Representative Tom Morrison (R-Palatine) passed legislation yesterday to make it easier for speech pathologists to practice in Illinois schools. By removing the additional state test required for speech pathologists to work in schools, HB2605 seeks to reduce the shortage of speech-language pathologists in schools statewide. HB2605 provides that a Professional Educator License can be issued to those who hold a regular license as a speech-language pathologist and a current Certificate of Clinical Competence in speech-language pathology from the American Speech-Language-Hearing Association. According to the Illinois Speech-Language-Hearing Association (ISHA), a proponent of Morrison’s bill, a speech-language pathologist who holds an IDFPR license and the Certificate of Clinical Competence possesses the skill and training required to provide speech and language services in the school setting. After unanimously passing in the House, HB2605 will now move to the Senate for further legislative action.